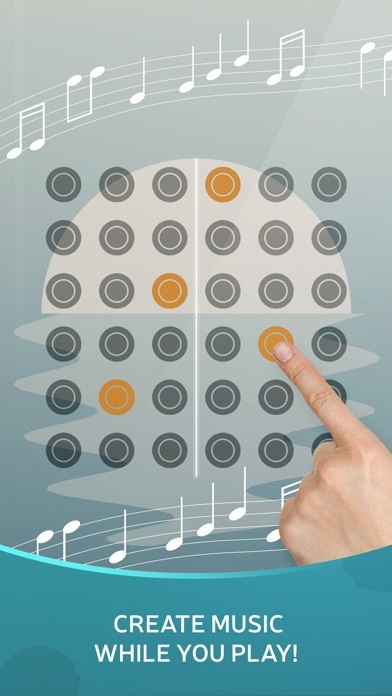 Harmony: Melody Mirror is a smart music game reminiscent of guitar hero, where you must reflect the music notes by tapping the free squares and creating a symmetry. Each tap will produce a minimalist melody, providing the illusion you are a real maestro and your orchestra is playing the Four Seasons with heart and soul! Like guitar hero, you will feel like a real musician in paradise when you tap the music notes on the right tempo. The major difference between guitar hero and the Harmony app is the genre of music: the relaxing sounds featured in the game are calm and minimalist. In a nutshell, classical music alike. You will be closer to play Four Seasons than Paradise City! Playing the Harmony app is very easy: just reflect each polygon and the symmetry will glow. If a polygon is three spaces on the right, you must tap an empty polygon three spaces on the left. Once you reflect every symmetry, the squares will glow and the level is solved. By tapping the music notes on the right tempo, you will be the maestro of relax melodies. Merging the brain exercise of an IQ test and the relaxing sounds, we could say you are creating smart music. Just look at it as a mirror: your brain will be pleased for each melody you reflect! The chapter names are based on classical music composers – like Sibelius or Vivaldi – and each chapter has its own relaxing sounds palette. It’s like Four Seasons, but Harmony provides many more chapters than just four. Each chapter will bring a different polygon, melody and symmetry. Your soul will rejoice with the 24 different relax melodies and more than minimalist 1000 levels! Vivaldi built his legacy with the Four Seasons, you can build yours with Harmony! Feel free to activate your guitar hero mode and tap the music notes as fast as you can! Go from mid tempo to up tempo! Music, Maestro! The smart music combined with a calm IQ test will create a paradise environment. Our games are very praised by players who suffer from anxiety and the Harmony app will keep you calm. The relaxing sounds and the guitar hero gameplay will numb your soul and help you dealing with anxiety, while you become a maestro of classical music. Harmony: Melody Mirror is a smart music odyssey through an abstract and a minimalist paradise, where tapping a polygon and reflect a symmetry is all you need to do to get rid of anxiety. Stretch your fingers, let the classical music flow free and embrace the relax melodies! 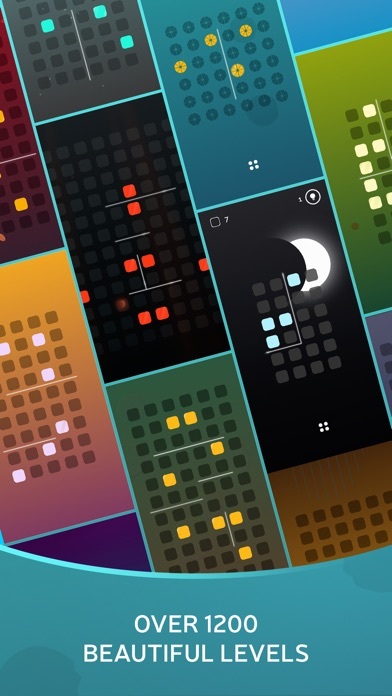 Features: Tap & Glow: The Harmony app is very easy to play. 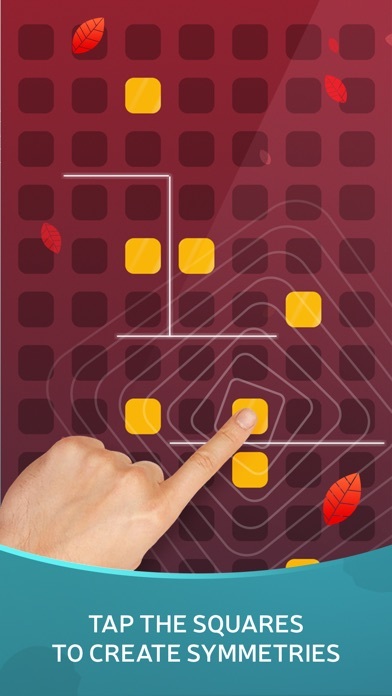 You just have to mirror the music notes by tapping the squares and create beautiful symmetries. 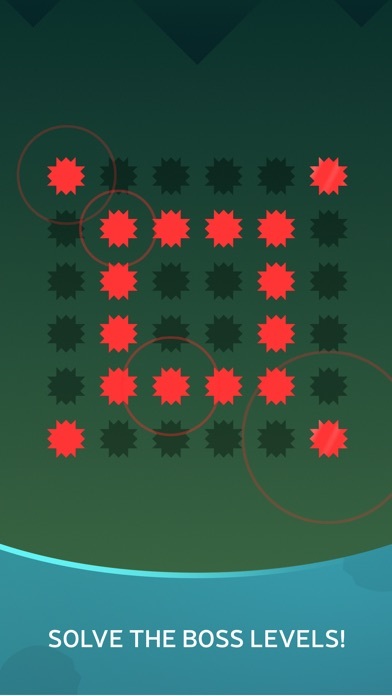 The squares will glow when you tap on them! Anxiety antidote: The relax melodies created on Harmony are perfect to kill anxiety. Free of timers and other stress features, this game provides you a one-way ticket to paradise! Music, Maestro: Tapping the squares on the right tempo is the only thing you need to create smart music on this calm and minimalist IQ test. Can you play the Four Seasons? Feel free to try! Just like paradise: Working as a mirror of relaxing sounds, the Harmony app provides you a calm IQ test to feed your soul and tease your brain. Just tap the right polygon and the shapes will glow! Boss levels: Besides the classical music and the tacit IQ test present in every level, the boss levels featured on the Harmony app will relax your soul! Check how many relax melodies can you create during a boss level! It’s better when a level had completed, a song from that musician be played. It’s more amazing and encouraging. Very calming and relaxing, also amazing! I love this game, but the sound effects in between each level and when you hit the re-do are absolutely horrific and take you out of the peaceful setting that is the game. Would love for the makers to fix that because this game is the really good! 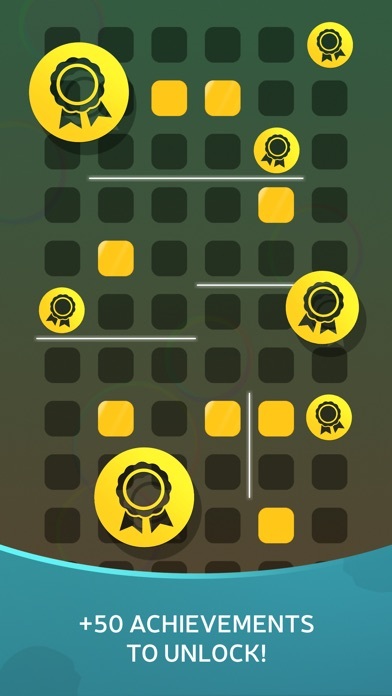 This app is a puzzle masterpiece, it combines music with a soothing environment and makes each level challenging. I greatly enjoy it and highly recommend it to everyone. Oh my goodness I love this game. Calming, and zen, this can be played in short bits or longer. I love that I am playing classical music as I go. Just the right level of difficulty. Sure wish I could give this more than 5 stars.